Warden Point Battery (also known as Fort Warden) was built after the Royal Commission of Defences in 1860, on the site of an earlier battery. 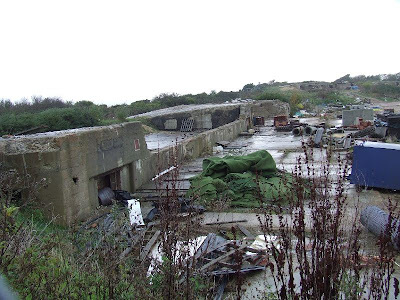 Located near the town of Totland, it formed part of the Needles Passage defences. It was originally mounted with 8 Rifled Muzzle Loading guns, but these were later replaced by Breech Loaders, Quick-Firing and some experimental guns, until disarmament in the 1930s. 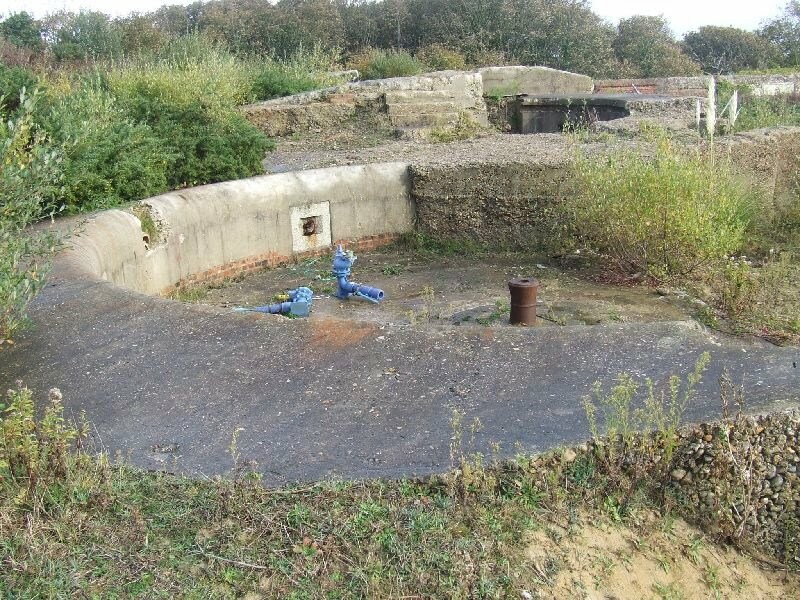 The emplacements were protected from the landward side by a loopholed wall with three small caponniers, much of which still survives. 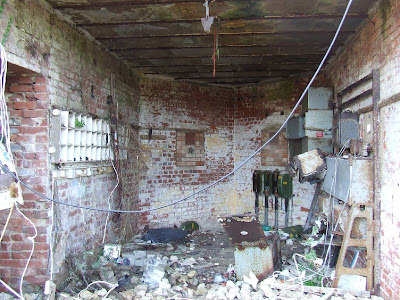 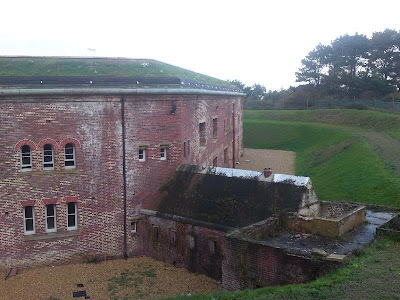 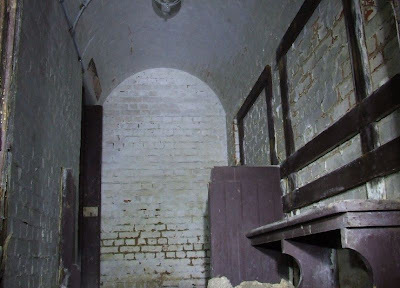 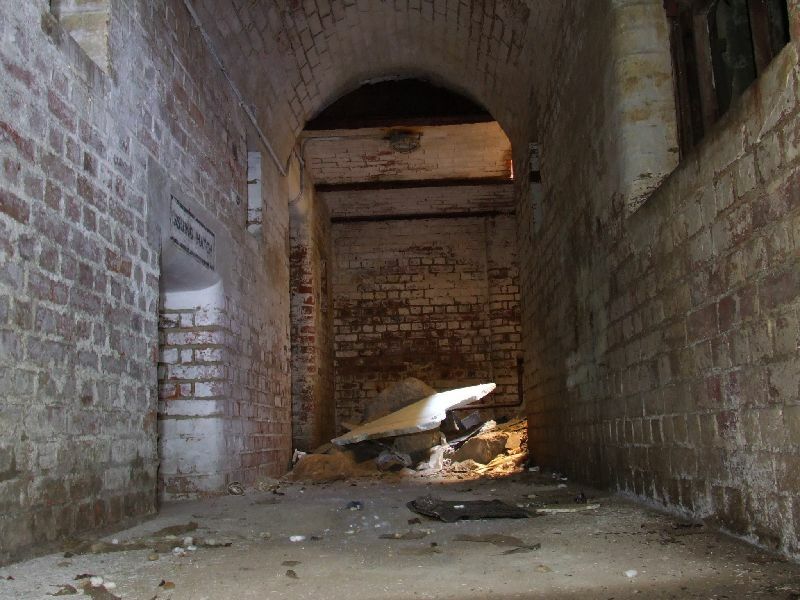 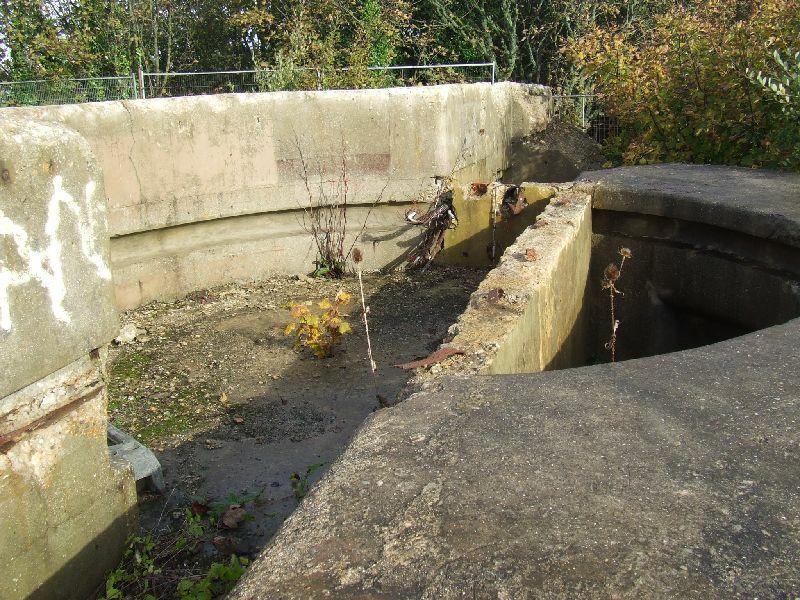 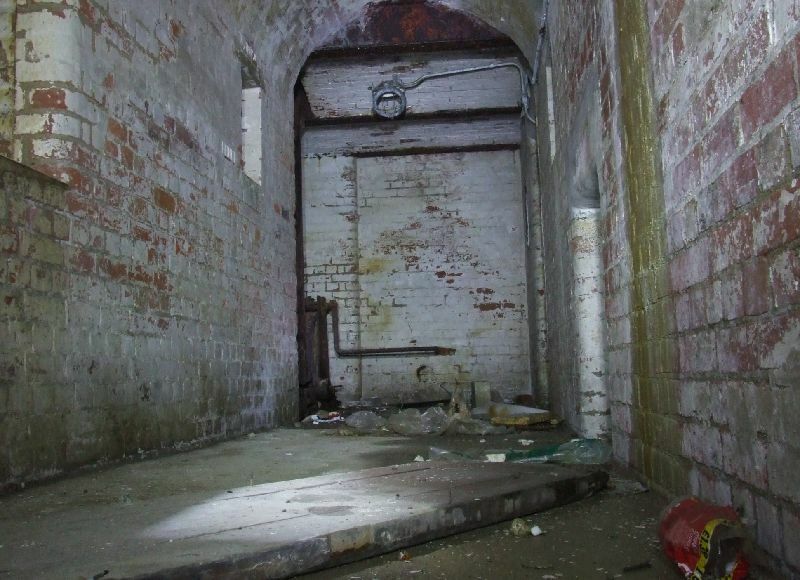 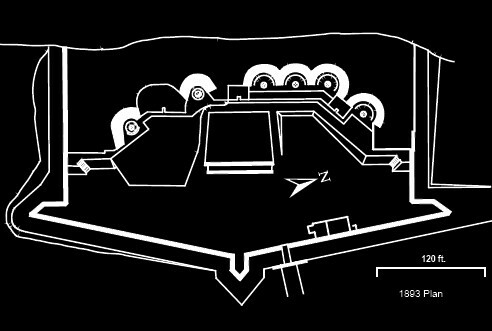 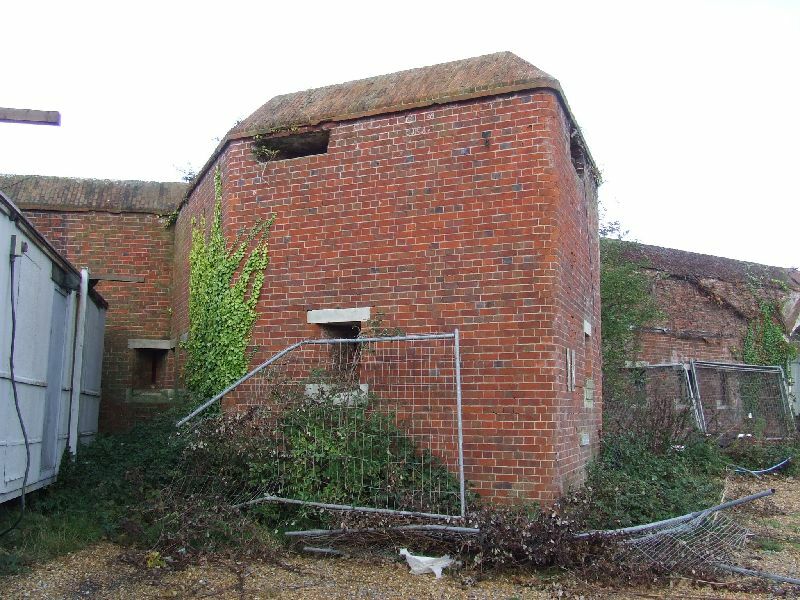 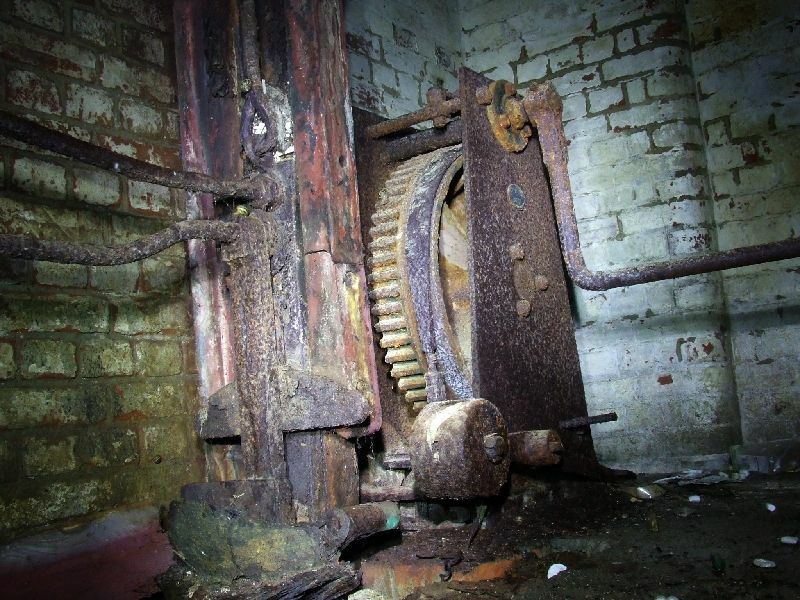 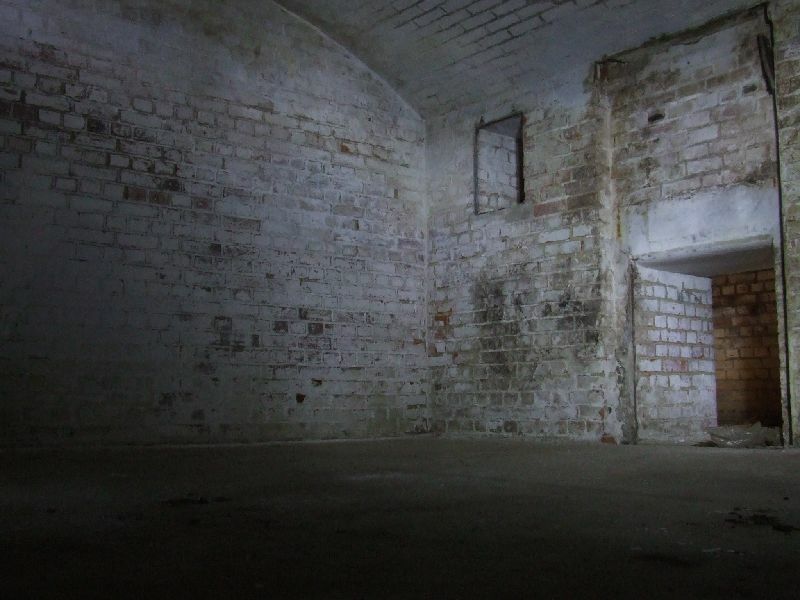 There were no barrack facilities at the battery, this being provided at the nearby casemated Golden Hill Fort. 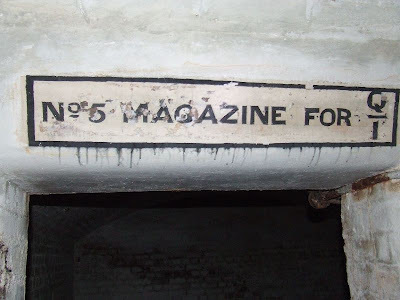 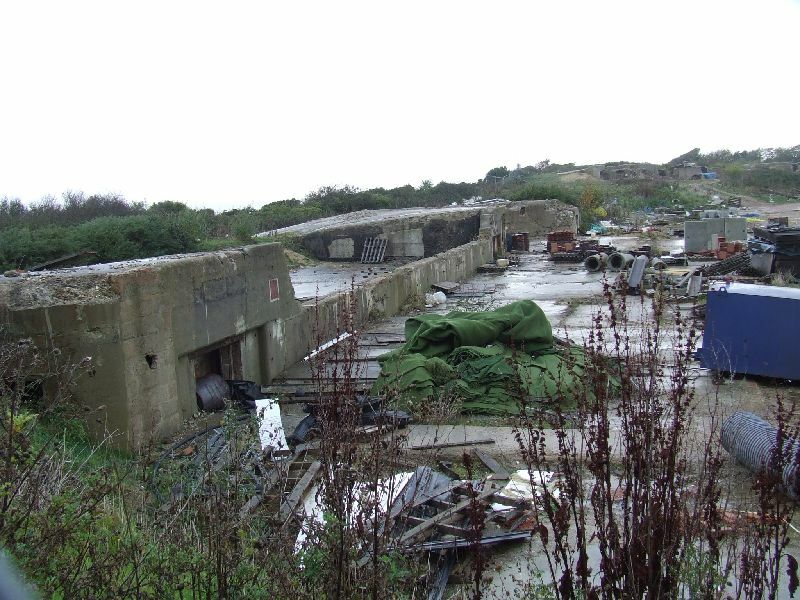 The emplacements at Warden Point have been partially demolished (some have been built over as part of a housing development) but the magazines remain in good condition below. 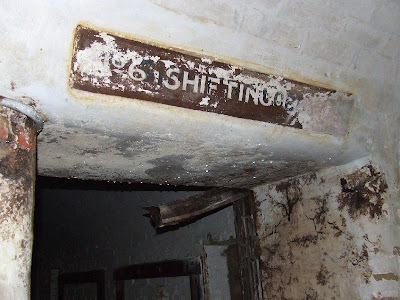 Many of the original stencilled signs are still exant, as are the shell hoists and the bench in the shifting lobby. 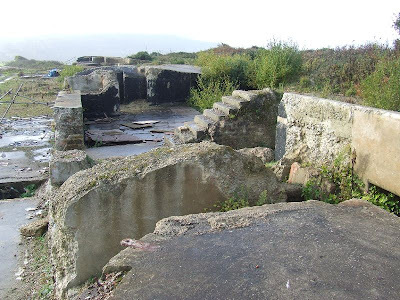 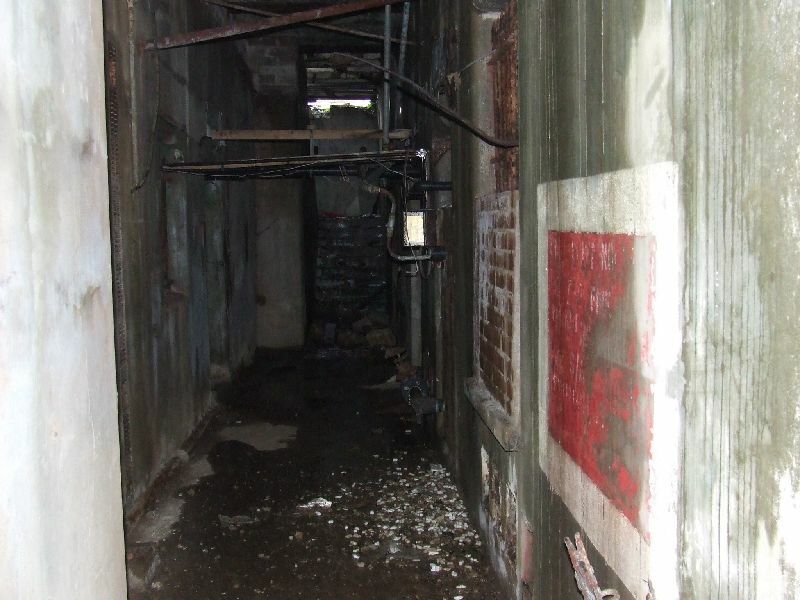 Many thanks to Robin Homden of the Fort Warden Heights Management for showing me the battery. 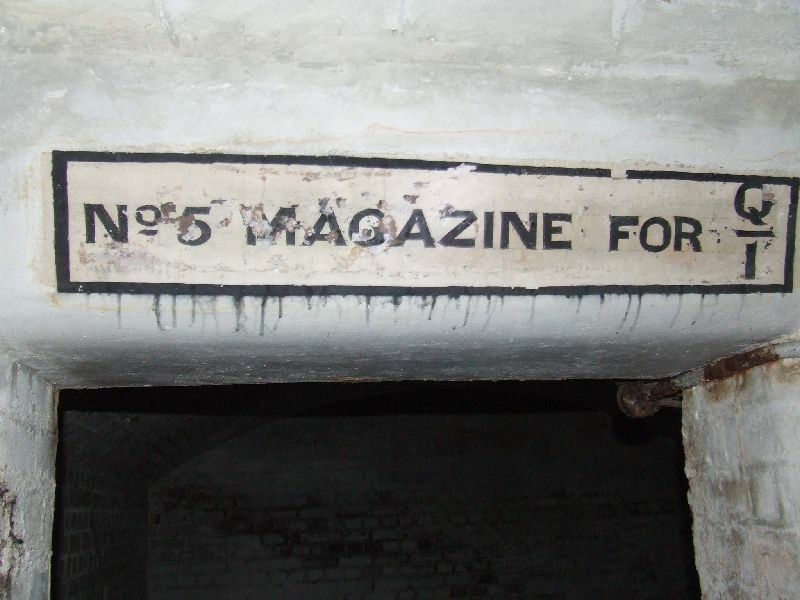 You can visit his own webpage here: http://fortwardenheights.com/page11.htm.